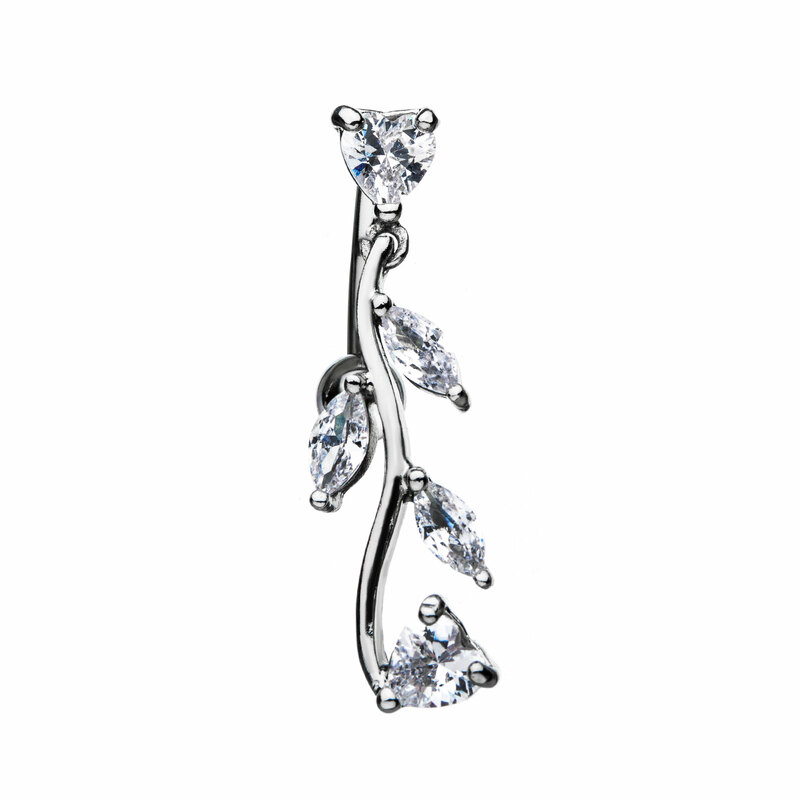 14g 7/16" Top Down 5mm Prong set Heart Navel Dangle on top and bottom of design with 3 Marquis Petal Gems on middle of Vine Design. Design is 28mm Tall and 9mm overall Width with 5mm Externally Threaded Ball. The bar and bottom ball are made entirely of 316L Surgical Steel.